Brooklyn Heights is an affluent residential neighborhood within the New York City borough of Brooklyn. Originally referred to as Brooklyn Village, it has been a prominent area of Brooklyn since 1834. 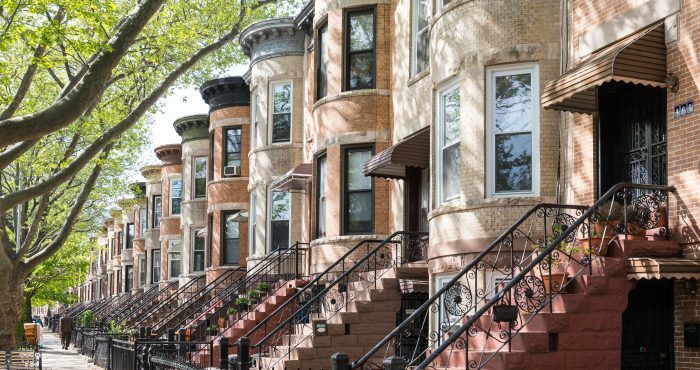 The neighborhood is noted for its low-rise architecture and its many brownstone rowhouses, most of them built prior to the Civil War. It also has an abundance of notable churches and other religious institutions. Brooklyn’s first art gallery, the Brooklyn Arts Gallery, was opened in Brooklyn Heights in 1958. In 1965, a large part of Brooklyn Heights was protected from unchecked development by the creation of the Brooklyn Heights Historic District, the first such district in New York City. The district was added to the National Register of Historic Places in 1966. 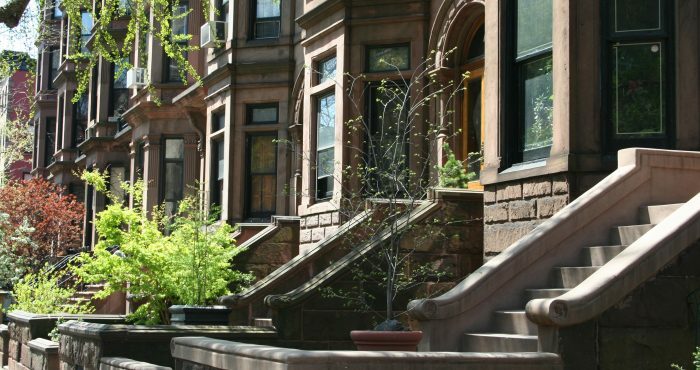 If you are a Brooklyn Heights, Brooklyn, NY home buyer, our foremost goal is to provide you with exceptional customer service. Our goals are to help you purchase the right home, make sure you don’t miss out on any homes that meet your needs, and make sure you don’t pay too much for your next home. Please utilize our Brooklyn Heights, Brooklyn, NY real estate expertise to make your home search and buying experience as stress free and rewarding as possible. 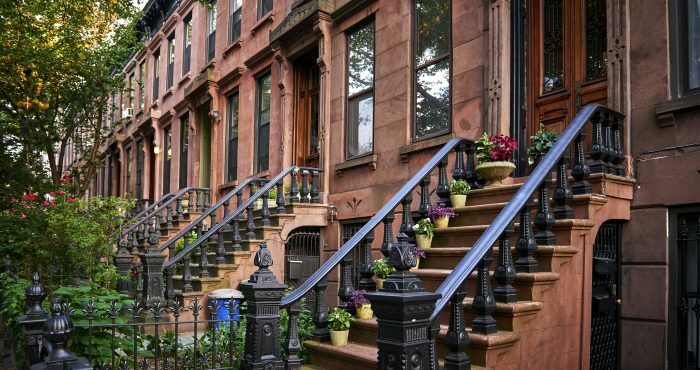 If you considering selling your Brooklyn Heights, Brooklyn, NY home, we utilize the latest, cutting-edge, real estate marketing tools to expose your property to the widest range of potential buyers. We are here to get your house aggressively marketed to sell as quickly as possible and for the best price! 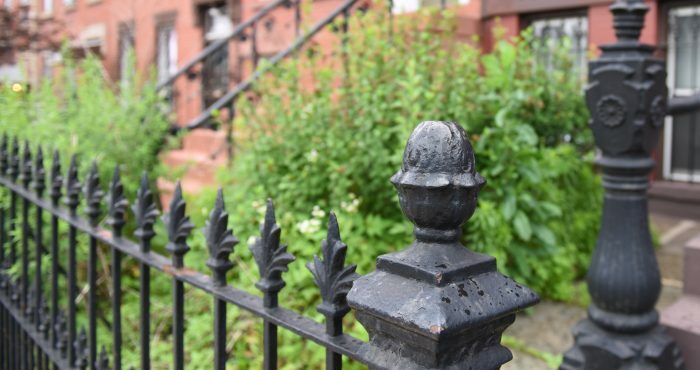 Our goals are to help you get your Brooklyn Heights, Brooklyn, NY home sold, put you in the strongest negotiating position as possible, and to make it easier for you and reduce surprises. 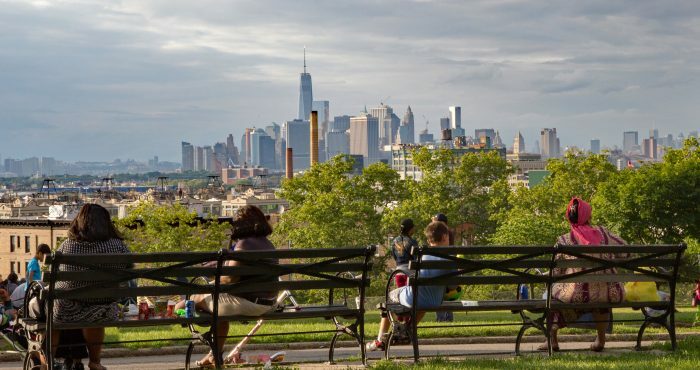 Directly across the East River from Manhattan and connected to it by subways and regular ferry service, Brooklyn Heights is also easily accessible from Downtown Brooklyn. The neighborhood stretches from Old Fulton Street near the Brooklyn Bridge south to Atlantic Avenue and from the Brooklyn-Queens Expressway to Court Street and Cadman Plaza West. Adjacent neighborhoods are Dumbo, Downtown Brooklyn, Cobble Hill, and Boerum Hill. Columbia Heights, an upscale six-block-long street next to the Brooklyn Heights Promenade, is sometimes considered to be its own neighborhood. As of 2000, Brooklyn Heights had a population of 22,594 people. The neighborhood is part of Brooklyn Community Board 2, and is served by the 84th Precinct of the New York City Police Department at 301 Gold Street in nearby Downtown Brooklyn. Fire services from the Fire Department of New York City come from Engine Company 205 and Ladder Company 118 at 74 Middagh Street, Engine Company 207 and Ladder Company 110 at 172 Tillary Street, and Engine Company 224 at 274 Hicks Street. Brooklyn Heights occupies a palisade that rises sharply from the river’s edge and gradually recedes on the landward side. Before the Dutch settled on Long Island in the middle of the seventeenth century, this promontory was called Ihpetonga (“the high sandy bank”) by the native Lenape American Indians. Ferries across the East River were running as early as 1642, serving the farms in the area. The most significant of the ferries went between the current Fulton Street and Peck Slip in Manhattan, and was run by Cornelius Dirksen. The ferry service helped the lowland area to thrive, with both farms and some factories along the water, but the higher ground was sparsely used. The area was heavily fortified prior to the Battle of Long Island in the American Revolutionary War, After British troops landed on Long Island and advanced towards Continental Army lines, General George Washington withdrew his troops here after heavy losses, but was able to make a skillful retreat across the East River to Manhattan without the loss of any troops or his remaining supplies. After the War, the 160-acre tract of land belonging to John Rapeljie, who was a Loyalist, was confiscated and sold to the Sands brothers, who tried to develop the part of the land on the palisade as a community they called “Olympia”, but failed to make it come about, partly because of the difficulty of building there. 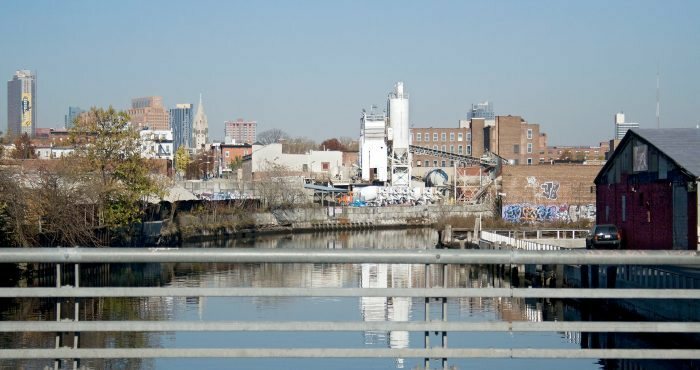 They later sold part of their land to John Jackson, who created the Vinegar Hill community, much of which later became the Brooklyn Navy Yard. Brooklyn Heights began to develop once Robert Fulton’s New York and Brooklyn Steam Ferry Boat Company began regularly scheduled steam ferry service in 1814, with the financial backing of Hezekiah Beers Pierrepont, one of the area’s major landowners. Pierrepont had accumulated 60 acres of land, including 800 feet which directly overlooked the harbor, all of which he planned to sub-divide. Since his intention was to sell to merchants and bankers who lived in Manhattan, he needed easy access between Brooklyn Heights and New York City, which Fulton’s company provided. Where there had been only seven houses in the Heights in 1807, by 1860 there were over six hundred of them, and by 1890 the area was almost completely developed. The buildings were designed in a wide variety of styles; development started in the northern part, and moved southward, so the architecture general changes in that direction as the preferred style of the time changed over the decades. Throughout the 19th century, Brooklyn Heights remained an elegant neighborhood, and became Brooklyn’s cultural and financial center. Its development gave rise to offshoots such as Cobble Hill and, later, Carroll Gardens. Prior to the Civil War, Brooklyn Heights was a locus of the Abolitionist movement, due to the speeches and activities of Henry Ward Beecher, the pastor of Plymouth Church, now the Plymouth Church of the Pilgrims. Beecher was a nationally known figure famous on the lecture circuit for his novel oratorical style, in which he employed humor, dialect, and slang. Under Beecher, so many slaves passed through Plymouth Church on their way to freedom in Canada that later generations have referred to the church as the “Grand Central Station of the Underground Railroad.” To dramatize the plight of those held in captivity, Beecher once brought a female slave to the church and held an auction, with the highest bidder purchasing not the slave, but her freedom. Beecher also raised money to buy other slaves out of captivity, and shipped rifles to abolitionists in Kansas and Nebraska in crates labelled “Bibles”, which gave the rifles the nickname “Beecher’s Bibles”. The completion of the Brooklyn Bridge in 1883, the Brooklyn end of which was near Brooklyn Heights’ eastern boundary, began the process of making the neighborhood more accessible from places such as Manhattan. 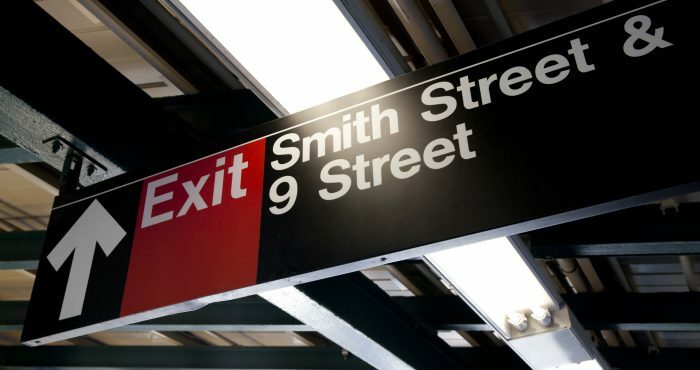 The Interborough Rapid Transit Company (IRT)’s Lexington Avenue subway line, which reached Brooklyn Heights in 1908, was an even more powerful catalyst in the neighborhood’s development. The resulting ease of transportation into the neighborhood and the perceived loss of the specialness and “quality” began to drive out the merchants and patricians who lived there; in time their mansions were divided to become apartment houses and boarding houses. 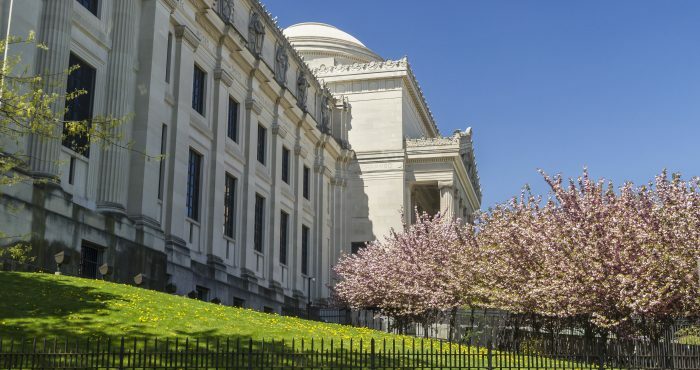 Artists began to move into the neighborhood, as well as writers, and a number of large hotels – the St. George (1885), the Margaret (1889), the Bossert (1909), Leverich Towers (1928), and the Pierrepont (1928), among others – were constructed. By the beginning of the Depression, most of the middle class had left the area. Boarding houses had become rooming houses, and the neighborhood began to have the appearance of a slum. During the 1940s and ’50s, the building of the Brooklyn-Queens Expressway (BQE) badly affected the neighborhood, as it took away the neighborhood’s northwest corner, destroying whole rows of brownstones. At about the same time, plans began to be developed by New York’s “master builder”, Robert Moses, wielding the Housing Act of 1949, to replace brownstone row houses which were the typical building form in the neighborhood with large luxury apartment buildings. A prominent example of the intended outcome is the Cadman Plaza development of housing cooperatives in the northern part of the neighborhood, located on the site where the Brooklyn Bridge trolley terminal once stood. In 1959, the North Heights Community Group was formed to oppose destroying cheap low-rise housing in order to build the high-rise Cadman Plaza towers. Architect Percival Goodman presented an alternate plan to maintain all sound structures, which garnered 25,000 supporters. In early 1961, a compromise proposal came from City Hall calling for two 22 story towers with over 1,200 luxury and middle income units. The Brooklyn Heights Association fully supported the compromise plan despite strong opposition from the preservation community, including the North Heights Community Group. As a result, 1,200 residents were removed from their houses and apartments in late 1961/early 1962 as construction began on the modified plan. One positive development came about when community groups – prominently the Brooklyn Heights Association, founded in 1910 – joined with Moses in the creation of the Brooklyn Heights Promenade, also called the Esplanade, which was cantilevered over the BQE. It became a favorite spot among locals, offering magnificent vistas of the Statue of Liberty, the Manhattan skyline across the East River, the Brooklyn Bridge, the Manhattan Bridge, and spectacular fireworks displays over the East River. Moses originally proposed to build the BQE through the heart of Brooklyn Heights. Opposition to this plan led to the re-routing of the expressway to the side of the bluff, allowing creation of the Promenade. Brooklyn Heights was the first neighborhood protected by the 1965 Landmarks Preservation Law of New York City. The neighborhood is largely composed of blocks of picturesque rowhouses and a few mansions. A great range of architectural styles is represented, including Greek Revival, Italianate, Second Empire, Victorian Gothic, Romanesque, Neo-Grec, and Classical Revival, as well as a few 2/1/2-story late Federal houses from the early 19th century in the northern part of the neighborhood. Some houses were constructed of brick, but the dominant building material was brownstone or “Jersey freestone”, a reddish-brown stone from Passaic County, New Jersey. A typical brownstone rowhouse was three or four stories tall, with the main floor above the street level and reached by stairs, referred to as a “stoop”, a word derived from Dutch. The basement is typically a half-flight down from the street, and was used as the work area for servants, including the kitchen. The first floor would be the location of the public rooms, bedrooms were on the second floor, and servants quarters were on the top floor. The rear of the lot would feature a private garden. Aside from rowhouses, a number of houses, particularly along Pierrepont Street and Pierrepont Place, are authentic mansions. The concentration of over 600 pre-Civil War houses, one of the largest ensembles of such housing in the nation, and the human scale of the three, four- and five-story buildings creates a neighborly atmosphere. Brooklyn Heights has very few high-rise buildings. Among these buildings are 75 Livingston Street, Hotel St. George, and the Concord Village co-op development on Adams Street. Additionally, Jehovah’s Witnesses had their world headquarters in the northern part of Brooklyn Heights at 25 Columbia Heights. The organization restored a number of historic buildings to house their staff, including the former Hotel Bossert, once the seasonal home of many Dodgers players, on Montague Street. 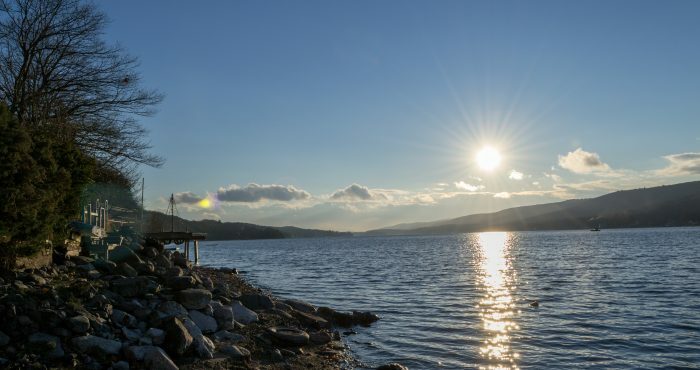 In 2010, the organization announced plans to begin selling off their numerous properties in the Heights and nearby downtown Brooklyn since they plan to relocate themselves in upstate New York. The executive offices of the Brooklyn Dodgers were, for many years, located in the Heights, near the intersection of Montague and Court Streets. A plaque on the office building that replaced the Dodgers’ old headquarters at 215 Montague Street identifies it as the site where Jackie Robinson signed his major league contract. Plymouth Church of the Pilgrims and Our Lady of Lebanon Maronite Catholic Cathedral are located in Brooklyn Heights, as are the First Unitarian Congregational Society, the Long Island Historical Society, Packer Collegiate Institute, and St. Ann’s and the Holy Trinity Church, among other historically notable buildings. St. Ann’s School, a K–12 school, is located in the neighborhood, with the main campus at 129 Pierrepont Street. Packer Collegiate Institute, a K-12 school, has also been located in the neighborhood, at 170 Joralemon Street, since its 1845 founding. St. Francis College is located on Remsen Street and occupies half a city block. It was founded as St. Francis Academy in 1859 by the Franciscan Brothers and was originally located on Baltic Street. St. Francis College was the first private school in the Roman Catholic Diocese of Brooklyn. As of 2010, 2,000 full-time students and more than 400 part-time students from 80 countries attend the College. St. Francis College has been ranked by The New York Times as one of the more diverse colleges in the United States. The college has also been ranked by both Forbes magazine and U.S. News & World Report as one of the top baccalaureate colleges in the north. Brooklyn Heights is also the location of Brooklyn Law School, founded in 1901, which, as of 2012, had 1,400 students. Brooklyn Heights is serviced by numerous subway services, specifically the A, ​C​, F​, N, R, and ​W trains at Jay Street – MetroTech, the 2 and ​3 trains at Clark Street, and the 2, ​3​, 4, ​5​, N, R, and ​W trains at Court Street – Borough Hall. Many MTA Regional Bus Operations bus routes are located nearby in Downtown Brooklyn, with the exception of the B25 in Dumbo/Fulton Ferry and B61, B63 in Cobble Hill. However, no bus routes actually stop in Brooklyn Heights. In June 2017, NYC Ferry’s South Brooklyn route opened, with stops at Brooklyn Bridge Park Piers 1 and 6 in Brooklyn Heights. 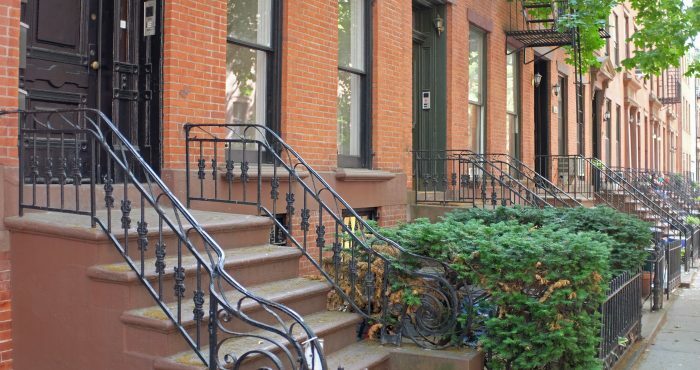 Interested in Brooklyn Heights Real Estate?